These pages contain information on how to learn and use CSS and on available software. They also contain news from the CSS working group. 2 Apr 2019 New Note: Non-element Selectors Level 1 . 19 Mar 2019 Updated Candidate Recommendation: CSS Scroll Snap Level 1 . 5 Mar 2019 Updated Working Draft: CSS Color Level 4 . 25 Feb 2019 Updated Working Draft: CSS Pseudo-Elements Level 4 . 14 Feb 2019 New Candidate Recommendation: CSS Transforms Level 1 . A part of the CSS WG in May 2016. 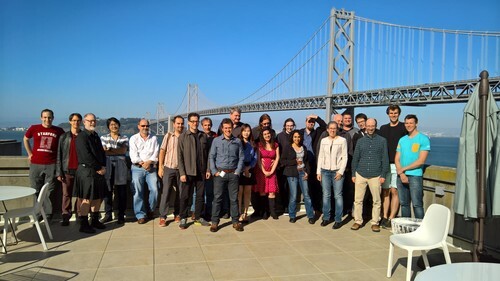 If you work for a W3C member organization, you can also join the working group. Nearly all browsers nowadays support CSS and many other applications do, too. To write CSS, you don't need more than a text editor, but there are many tools available that make it even easier. For beginners, Starting with HTML + CSS teaches how to create a style sheet. For a quick introduction to CSS, try chapter 2 of Lie & Bos or Dave Raggett's intro to CSS. Or see examples of styling XML and CSS tips & tricks. Another page also has some books, mailing lists and similar fora, and links to other directories. Checks the syntax (and more) of style sheets. An Interest Group that looks at how Web technology, including CSS, can be used in publishing, and how those technologies can be improved. A set of simple style sheets designed when browsers' compatibility was a bigger problem than today, but still useful. A note about the role of CSS in making pages accessible. An interface between CSS parsers and CSS processors. XSL and CSS share many features, but XSL is focused on complex layout tasks, especially for print.